Former Army Capt. Will Swenson will receive the Medal of Honor on Oct. 15, more than four years after he and other U.S. forces tried desperately to find and save three Marines and a Navy corpsman who were trapped under heavy fire in the infamous Battle of Ganjgal in Afghanistan. 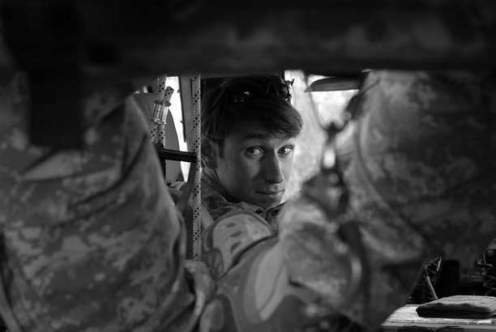 Those troops didn’t make it out of the Sept. 8, 2009, ambush alive, but Swenson has not forgotten them. He invited the families of Marine 1st Lt. Michael Johnson, Gunnery Sgt. Edwin Johnson, Staff Sgt. Aaron Kenefick and Navy Hospitalman 3rd Class James Layton to his White House ceremony, said Susan Price, Kenefick’s mother. Also attending will the family of fallen Sgt. 1st Class Kenneth Westbrook, a soldier who died the following month due to wounds he sustained in the attack. We have never met. We have never spoken. But I would like to believe that I know something about each of you through the actions of your loved ones on that day. They were a part of a Team. And you are now a part of that Team. I would be honored for you to attend a ceremony that will acknowledge what that team represented. The ceremony will be October 15th and 16th, respectively at the White House and Pentagon. If you wish to attend, please contact me and I will provide whatever information I can. I sincerely look forward to meeting you. Swenson is said to be close with the family of Westbrook, who served as his senior enlisted adviser on the deployment in which he the Battle of Ganjgal occurred. He was seen in video released by the Army giving Westbrook a kiss on the forehead during the battle, and attended Westbrook’s Silver Star ceremony earlier this year wearing a dark suit and thick beard. He barely knew the fallen Marines and corpsman, however. They served in another unit, Embedded Training Team 2-8, out of Okinawa, Japan, that worked together on which the ambush occurred. The unit included then-Cpl. Dakota Meyer, who in 2011 became the first living Marine to receive the Medal of Honor in 38 years for his actions that day. Price said she is looking forward to meeting Swenson and reconnecting with some of the members of her son’s training team who also will be a the White House. She and the other Gold Star families created during the battle have stayed in touch over the last couple years. I hat off to such a soldier . Battles are win on such soldiers . He worths this honour from president .